Conventional wisdom — and statistics — tell us that a mechanical engine failure in a properly maintained aircraft is quite rare. Engine stoppage is usually caused by the dummy in the pilot seat. Fuel exhaustion is by far the leading cause. Engine and fuel system mismanagement are also possibilities. There’s no shortage of creativity in this department. Until recently, I didn’t know very many people who’d ever experienced a mechanical failure of a certified aircraft powerplant. But at the last aerobatic contest I encountered no less than three people who’ve recently had one (there were also two prop strikes, but that’s a story for another time). The reasons were varied: cylinder failure, fuel contamination, and oil pump failure. The last of these was in a Pitts S-2B — the same kind of airplane I fly. It piqued my interest because an engine failure in a Pitts is a big deal. The airplane is not terribly crashworthy, and it comes down like a rock when the engine stops turning. It’s one of the few airplanes where my first inclination would be to leave the airplane rather than stay with it. The pilot in question is a great guy named Yuichi. 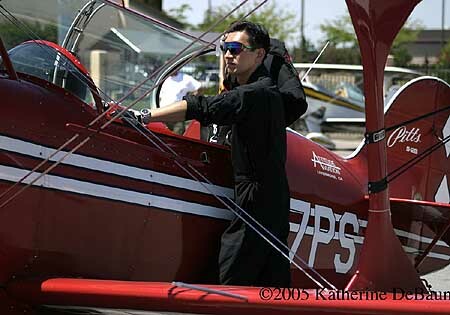 He’s not only a talented aerobatic competitor but also an active Airframe & Powerplant mechanic. Yuichi is has saved my bacon on more than one occasion through his willingness to work on my airplane in 100 degree heat after a long day of flying. Sometimes I’ve even seen him skip his own practice time in the box in order to help someone else solve a mechanical issue so they could compete. When the phrase “couldn’t have happened to a nicer guy” was coined, it must have been Yuichi they were talking about. As most of you know I had to make a forced landing last Saturday afternoon in Pitts N117PS. I am very happy to be at my desk again and to share my experience. June 03, 2006. I took off about 1410 local from LVK for routine practice at Mt. Diablo practice area. At about 1435, around 2500ft MSL, I noticed power loss (probably just propeller speed reduction due to loss of oil pressure) after finishing a snap roll. As all you guys do, I have a habit to look oil temp/press gauges as well as performance gauges, especially when changing positive and negative Gs. I saw oil pressure gauge was pointing 0 psi that time. Reduction in oil pressure is not unusual on N117PS. Whenever there is prolonged 0 G load, like a top of push over humpty, or outside loop, etc. This mostly reduces oil pressure drop to about 20 psi and come back right away. But holding 0 psi for couple of seconds is not normal. I pulled throttle to protect the engine and glided at 95 MPH, and continued to push / pull, and move throttle to recover oil pressure. A couple of things came into my head as the cause of losing oil pressure. 1) Lost engine oil because of practice maneuver, crack at engine parts, or loosen drain plug. 2) Oil pressure gauge mulfunction. 4) Gravity valve stays at inverted position. Unfortunately the pull and push maneuver did not work in this case. Occasionally the oil pressure came back to 2-3 psi, but dropped back to 0 psi very soon. There was not enough altitude to make it to the nearest airport (Byron). I have no choice, so I decided to do a off field landing down there. I picked up a straight road (Empire Mine Road) running east to west through the box. There was no traffic. There was also a grass field right next of the road would be perfect alternative. I made a mayday call to LVK tower and 121.5, before I got too low. Now it was easy, just do routine landing I used to. On final approach, I saw white SUV turn onto the road which would have been on a collision course with me. I could not blame the driver, because the road was not blocked at entrance, they even don’t know what happened in the air. I switched my landing site to grass field just south of the road and landed. At first landing roll was perfect, I thought “wow, this is my one of best landings I ever made!!”. But 5 second later, the landing gear caught the muddy surface and the plane then flipped over inverted. I was so lucky, the airplane stoped after just half flip and did not tumbled. The bad thing was now the airplane was upside down and the canopy was held by the ground. I realized that I was trapped inside the airplane. I picked up my cellphone and dialed Attitude Aviation front desk. A cell phone is great tool in this situation. I was sitting there upside down for a while, when suddenly a gentleman called me. “Are you OK?” I told him to lift the tail up and now the airplane was standing on its top wing. I got about 2 ft clearance opened the canopy and then I dropped on the ground. The gentleman said, “I am so glad you are OK.” I looked at his car .. It was the the white SUV that I saw on short final. Soon, we saw emergency crews turned on the road, then he said “I guess you are OK. Take care!”. He was exactly like a hero. I hope I said “Thank you” to him. I wish I will find him again. (1) I asked myself why I did not try complete inverted flight, not just shaking the airplane. If the cause of problem is gravity valve, I might have some oil pressure while I was at inverted. (3) Preview your practice area if low altitude practice is needed. 1500ft AGL is not enough to make airport in most situation. I was so surprised that practice area has many hills and power lines. I think Yuichi’s a little hard on himself. Even if the gravity valve was at fault, priority #1 is fly the plane, #2 is find a place to land, and then you can troubleshoot. From 2500 AGL, I’m not sure he’d have had much of a chance to get to it. In this case, “any landing you can walk away from” really is a good landing. I believe the airplane is a total loss. The damage doesn’t sound that bad, and I’m sure it’s fully repairable, but once the airplane goes over on its back, the steel tube airframe gets bent. At that point, the ship is probaby worth more as a collection of parts than it would be after the restoration, so the insurance company writes a check. 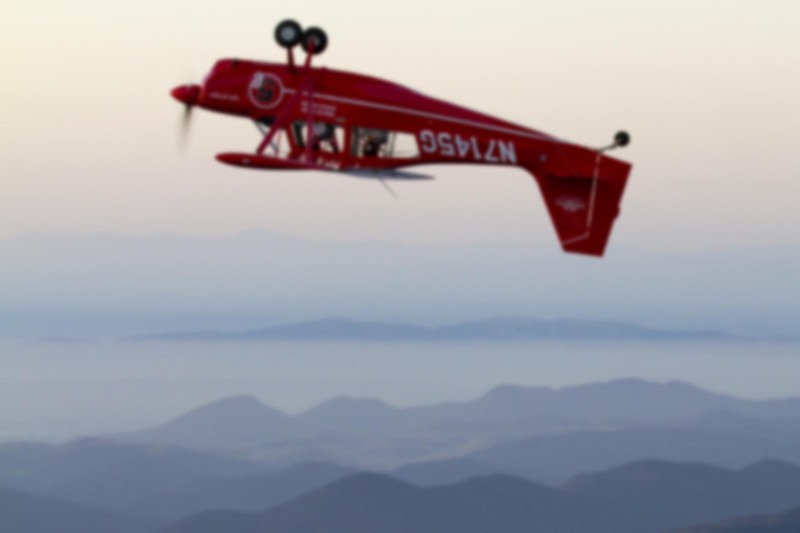 It’s worth noting that all three engine failures I heard about at Paso Robles were in high performance aerobatic airplanes. When these engines are installed in normal airplanes, pilots take great care to make gentle throttle movements and generally be as nice to the engine as possible, cooling it down slowly at the end of a flight and helping it live a low stress life. Install the same engine in an aerobatic airplane and we rapidly move from full throttle to idle and back again, over and over. Short flights, high climb rates with little cooling air. Lots of cycles. We torque the prop and put tremendous stresses on the crankshaft, pulling enough Gs to move the entire engine several inches on the mounts. When you think about all that, perhaps the real surprise is that these failures are not more common. Anyway, I hope this is as close as I’ll ever get to re-living Yuichi’s experience. I love how he casually states that he won’t have a chance to test his new technique “until next time”, as though it’s a foregone conclusion that this won’t be his last engine failure. You’re probably thinking, “How about hoping there won’t be a next time?”. The thing is, as pilots we have to plan for it anyway. Hi Ron,we had an exciting landing in South Africa when our 737-800 en route from Joberg to Durban whilst being flown by the no 2 touched down short of the runway,bumpy or what,loads of apologies from captain and cabin crew,the mood lightened when i pointed out that any landing you walk away from is a good one.